As an important geography in our scheme of things, the tech city of Bangalore was the venue for The Open Group India Conference and Awards in 2018. In the sprawling and beautiful Leela Palace, this event was extended to two and a half days (February 22 – 24, 2018) this time, reflecting its growing popularity in the region. Speakers and delegates from seventeen countries converged in Bangalore to participate in this international event, which was supported by the Ministry of Electronics and Information Technology, Government of India. ‘Making Standards Work® for Your Digital Agenda’ was the theme for this year, in line with the realization of the importance of standards. Day one of the event started strongly with a session by the Chief Guest D.N Narasimha Raju, CEO, National Institute of Smart Government, setting the tone by providing a summary of the current state of Digital India initiative. With the context in place, the next presentation by Shubhagata Kumar from the Directorate General of Systems and Data Management, Central Board of Excise and Customs, Government of India delivered an energetic session for its award-winning Project Saksham; an initiative of infrastructure and application modernization with focus on information security, that is so essential in case of indirect taxes. The third session of the day, I presented a comprehensive overview on the newly developed and launched India Enterprise Architecture Framework. The critical role of standards in the success of Digital India could not be overemphasized, this was amply covered in the morning sessions. The afternoon of day one continued the momentum and saw sessions by the Bangladesh Computer Council on its National Enterprise Architecture, and an efficient and functioning payment mechanism, iPAY, from Sri Lanka’s business conglomerate, the LOLC Group. These sessions provided a glimpse of some best practices in the neighboring countries, and both these were award winners. IT4IT™, a standard of The Open Group, is gaining currency around the world. This was corroborated with a session by our member, HCL Technologies, on its use of the IT4IT architecture to enhance its internal service management capabilities. Called DRYiCE, this innovative piece of work was appreciated by HCL Tech’s internal Chief Information Officer. This theme on service management continued with another lively presentation by Syngenta, which was another award-winning initiative of setting up a Service Management Centre of Excellence. In order to provide opportunity to the audience to engage in discussions with experts, the final session on day one was a panel discussion on the challenges to building an effective Enterprise Architecture, and the strategies to mitigate them. Five invited panelists provided their expert views in this moderated discussion, that also included a stimulating exchange of views. After an exciting day, time had come for some relaxation and fun. The evening of day one was reserved for the award ceremony and gala dinner. With J. Satyanarayana (Chairman, Unique Identity Authority of India, Government of India) as the Chief Guest, everyone was curious to know the winning entries. 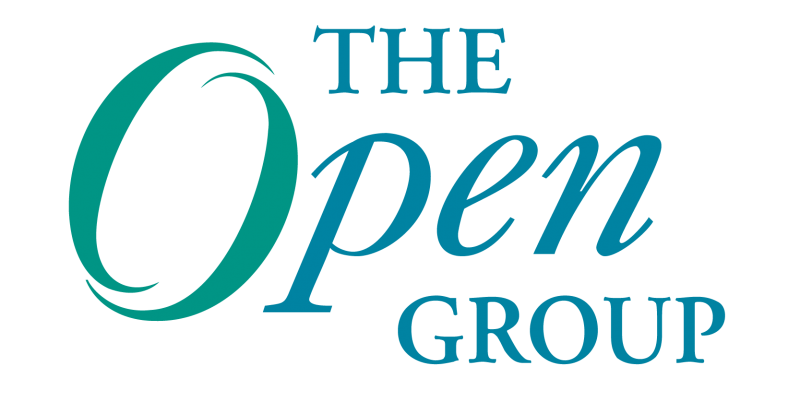 The Open Group India Awards for Innovation and Excellence is an annual feature aimed to recognize projects around the world in the areas of Enterprise Architecture, IT management, emerging technologies, and cybersecurity. These award winners were selected after a rigorous process of submission of nomination forms, shortlisting based on initial assessments, interviews with the shortlisted nominations and final selection. This ensures the process is neutral, extensive, and diligent, carried out by a specially selected jury consisting of senior architects from across industries. These awards are a reflection of the constant effort towards creating an enduring and strong bond with our members. Day two of the conference started with a very interesting session by Anir Chowdhury, Policy Advisor to the Prime Minister’s Office, Government of Bangladesh. His session was a description of the journey embarked upon by Bangladesh towards its vision of digitization. Anir’s knowledge and breadth of view was amply evident in his narrative. Bhutan, the land of happiness evokes warmth and liking; this was seen in a presentation by the Minister of Information and Communication Dinanath Dhungyel. He described the achievements and challenges faced by this beautiful and mountainous nation in propagating the benefits of its e-government interoperability framework. Spearheaded by Malaysia’s Administrative Modernization and Management Planning Unit (MAMPU), Dr. Fazidah Abu Bakar, Deputy Director narrated the nation’s journey towards 1Government. The next session took the audience to a new continent, Africa. Kenya’s Health Enterprise Architecture, that has played a key role in improving health services for its citizens, kept the audience glued to the event as they were being exposed to a multitude of cultures. With the emergence of cities as the engine of economic growth around the world, Smart City programs have grown in number. The next session by the Taipei City Government transported the audience to the enchanting city of Taipei and narrated the use of Enterprise Architecture in its smart city journey. Known as one of the most digitized cities, a summary of steps taken by the city was appreciated by all. The role of tools in architecture cannot be forgotten. The next presentation by Mega Software about the its commercial Enterprise Architecture toolset gave the audience a quick summary of its capabilities and benefits. Keeping with the international flavor and coverage, the next presentation by Javier Barreiro, Chief Technology Officer, Agency for Electronic Government and the Information and Knowledge Society, Government of Uruguay, showed why the nation has been recognized as one of the seven countries with advanced digital government (D7). The criticality of cybersecurity in the digital world was described by a session by IBM. This session showed the need to move from a compliance mindset to a risk mindset. Staying with this focus, the last session of day two was one from Jim Hietala, VP, Business Development and Security, The Open Group, who talked about the balance required to maintain openness and yet be secure. In our new format, day three was reserved for deep dive sessions. India’s National Informatics Centre (NIC) has been instrumental in the wide use of the India Enterprise Architecture Framework for various projects. Teams from NIC presented four projects where the framework is being used. The invited audience got a glimpse of the current state of practice in the area of Enterprise Architecture. Our commitment to the government and public sector domain is exhibited by the establishment of the Government Enterprise Architecture Workgroup within The Open Group Architecture Forum. The final session of the event was a meeting of the workgroup, and it was able to identify the areas it should be working on and other operational priorities. Recognition of high quality initiatives and projects, after a rigorous process of selection. Having gathered feedback during and after the event, it gives me immense pleasure in stating that this year’s edition was a massive success, and has once again set a new benchmark. This stellar achievement was a company-wide effort by The Open Group team in India, along with staff based in other parts of the globe. This recognition is a moment of humility and pride for us, and to provide us the trigger to aim even higher in the coming years. Event proceedings for Members and event attendees can be viewed here. Dr. Pallab Saha is Chief Architect with The Open Group India. Identified as a thought leader by IBM Smart City Connect and Forrester, featured by Forbes, he is an advisor to the Ministry of Electronics & IT (MeitY), Government of India and is a key member in the National Committee for Enterprise Architecture, and a co-author of the India Enterprise Architecture (IndEA) Framework. Previously, as Head of Wipro’s Government and Public Sector Architecture Practice, he was instrumental in creating a government focussed architecture domain, and selected as an elite Distinguished Member of Technical Staff in Wipro. Dr. Saha has published five books. His work has been translated into Arabic, Mandarin, Korean, Russian, and Polish.